Faced with short-term debt and insufficient expansion capital, a family-owned business turned to GAF for support. GAF responded by providing capital to this family-owned restaurant in the Pacific Northwest to refinance its high-interest, short-term debt and additional funds to complete the build-out and purchase equipment. When they moved from big-city Texas to small-town Washington to open a restaurant, Michael and Candy McQuay never looked back. The couple made their new home in Port Angeles, Washington – a community known for logging and tourism in nearby Olympic National Park. In 2009, the McQuays purchased Kokopelli Grill, a closed-down restaurant, and turned it into one of Port Angeles’ premier fine-dining destinations. In the restaurant, the McQuays combine fresh and local Northwest seafood, steak, and produce with Southwest flavors inspired by their time in Texas. The restaurant has a banquet hall for private parties and offers full-service catering within the community. In 2015, facing out-the-door lines during busy summer months and nearly 30 percent annual sales growth, the McQuays expanded the restaurant to accommodate more customers. In 2016, they decided to further expand operations, this time adding a separate venture: Coyote BBQ Pub. Located in the same building adjacent to Kokopelli Grill, the new restaurant offers a casual and lower-cost option, serving Southern barbeque food and craft beer and cocktails. The McQuays knew that accessing traditional financing for the Coyote BBQ Pub build-out would be difficult. When they approached GAF in 2015, however, GAF said “not yet”, rather than “no”. GAF worked with the business, and a year later funded a loan of $575,000 with a 15-year term and interest rate of WSJ Prime plus 0.5 percent, adjusted quarterly. 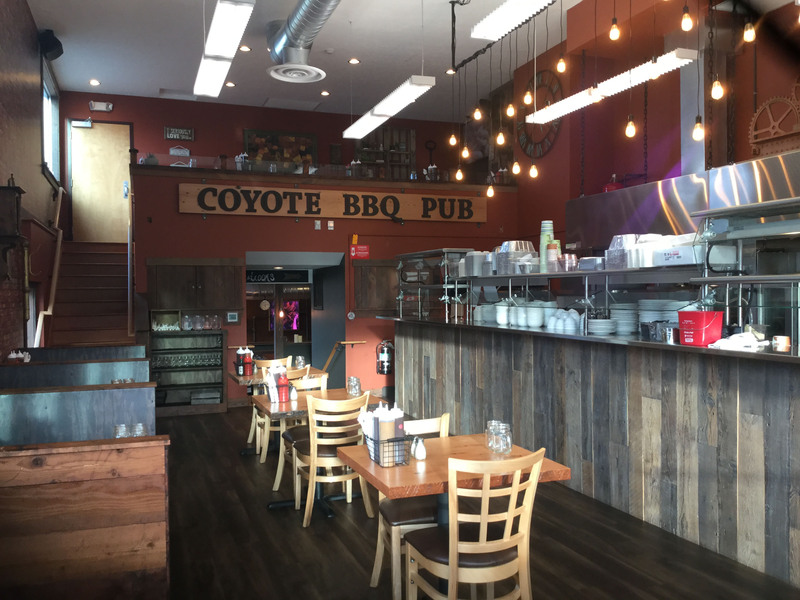 The loan allowed the business to save money by refinancing $435,000 in two short-term loans used to fund the initial Coyote BBQ Pub build-out. In addition, loan proceeds funded $105,000 for final tenant improvements, and $35,000 for kitchen equipment and closing costs. The equipment included an additional smoker that will increase the restaurant’s capacity to serve customers.